The Air Force intends to call for those proposals in the coming weeks with a solicitation known as the Phase 2 Launch Service Procurement (LSP) that would give Blue Origin its competitors 60 days to submit bids. Blue Origin says the Air Force’s hurry to select two providers to split 60/40 contracts for up to 25 launches between 2022 and 2026 would forestall competition and give unfair advantage to United Launch Alliance and SpaceX, the two companies currently launching nearly all U.S. national security satellites. “We disagree with the Air Force on the timing of Phase 2,” Brett Alexander, Blue Origin vice president of government sales and strategy, told SpaceNews. 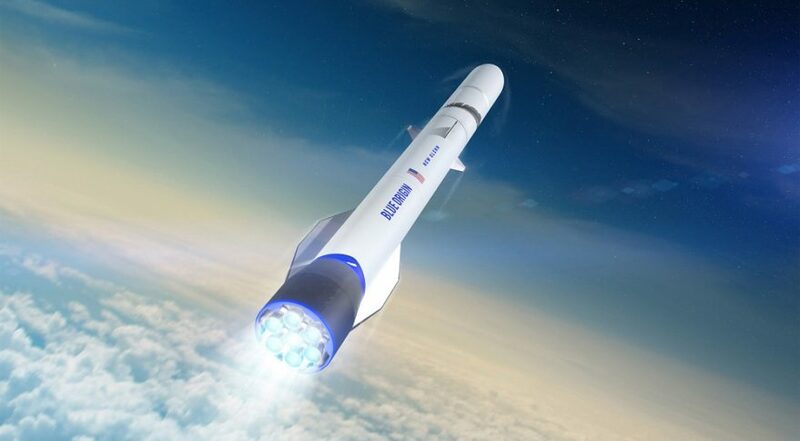 Under Blue Origin’s LSA award, the Air Force agreed to give the company up to $500 million between 2019 and 2024 to help cover the costs of getting the reusable New Glenn heavy-lift rocket and its infrastructure ready to support military launches. That funding, however, would be terminated if Blue Origin is not one of the two companies the Air Force selects to split LSP launch contracts potentially worth billions of dollars. Alexander said Blue Origin has already invested $2.5 billion in New Glenn’s development, including building factories in Florida and Alabama, but needs the LSA funds for infrastructure investments specific to national security missions. ULA and Northrop Grumman are in similar situations, although both won much larger LSA awards than Blue Origin. ULA stands to receive up to $967 million from the Air Force to help with the development of Vulcan Centaur, the successor to Atlas 5, the Air Force’s workhorse rocket. Northrop Grumman is eligible to receive up to $792 million for OmegA, the only solid-fueled rocket in the competition. Blue Origin, ULA and Northrop Grumman all say they are on track to debut their rockets in 2021. SpaceX, which is privately funding development of a new fully reusable Super Heavy rocket and exploration-class Starship second stage, will presumably compete for LSP contracts with its existing Falcon 9 and Falcon Heavy rockets. While Blue Origin presses the Air Force to delay the LSP competition, it’s also found allies on Capitol Hill. House Armed Services Committee Chairman Adam Smith (D-Wash.), whose Seattle-area congressional district is home to Blue Origin, asked the Pentagon late last month to put a hold on the release of the so-called Phase 2 LSP solicitation. Air Force officials, however, have said they intend to move ahead. Blue Origin, despite its objections to what it considers a premature downselect, says it will be ready to submit its proposal even if the Air Force moves ahead as planned. Meanwhile, New Glenn checked off an important LSA milestone, completing its preliminary design review in December, according to Steve Knowles, New Glenn’s program manager.